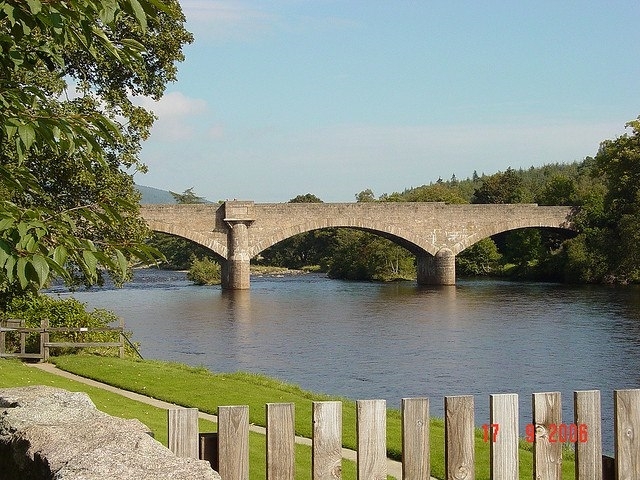 The Community run Ballater Caravan Park with its spectacular panoramic mountain views, is bordered by the river Dee on one side, the Ballater 18 hole golf course on the other and is a 5 minute walk to Ballater town centre. The Ballater Caravan Park is located in the heart of Royal Deeside and is an exceptional holiday destination for people and families of all ages. The pretty conservation town of Ballater is an ideal base for exploring this beautiful part of Scotland and it is a great favourite with walkers, road cyclists and mountain biking. Near Ballater lies the Royal Castle of Balmoral, holiday home for the Queen and other members of the Royal Family and many shops in Ballater display Royal Warrants. Victoria Week is an annual festival in August with many events, shows, films, exhibitions, talks and the scarecrow tour. The week ends with a Ceilidh and the famous duck race on the River Dee. 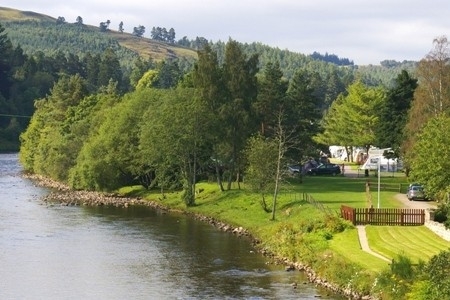 The River Dee, one of Scotland’s finest salmon rivers, borders Ballater Caravan Park which caters not only for Camper Vans, Caravans and Motorhomes but also offers great facilities for camping. The park is only 5 minutes walk from the centre of Ballater with its plentiful cafes, restaurants and shops. Ballater even has its own sweetie shop. The Park is also next to the golf course which also has the bowling and tennis clubs in their grounds. This quiet and beautiful location combined with so many facilities within easy walking distance makes the park very popular. Surrounded by hills and delightful scenery, visitors to Ballater Caravan Park will quickly recognise why Queen Victoria referred to Royal Deeside as her ‘Dear Paradise’.